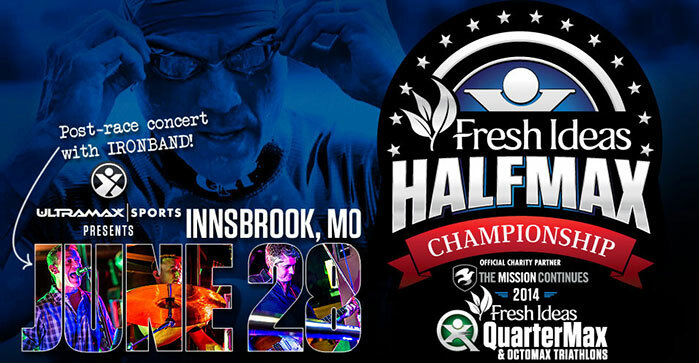 Ironband is hitting the road this weekend for a special appearance at Ultramax Sports’ Fresh Ideas Halfmax Championship at the Innsbrook Resort near St. Louis! With three distances to choose from and one of the most scenic courses in the midwest we’re excited to be a part of the return of this historic event. We’ll be playing at the post-race party on Saturday so look for us as you cross the finish line. Visit the website for more information on the Ultramax Halfmax, Quartermax and Octomax events.